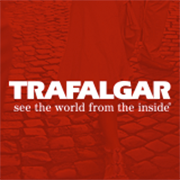 Share your photos to WIN a Trafalgar USA trip. Share your favourite holiday photos for the chance to create more unforgettable memories. Helping people experience ‘insider’ travel moments has been our passion for 68 years. Maybe you’ve snapped artisans crafting glasswork in Italy, or perhaps you’ve captured locals weaving their way through Bangkok’s sprawling Chatuchak Market. Whatever it was, we’d love you to share it. Do remember to like their Facebook page before entering the contest.